Super villains have big egos, and for that you need a big chair. To manage a huge evil empire you also need a high tech control console. Luckily this set has both, it also has somewhere for the minions to sit. 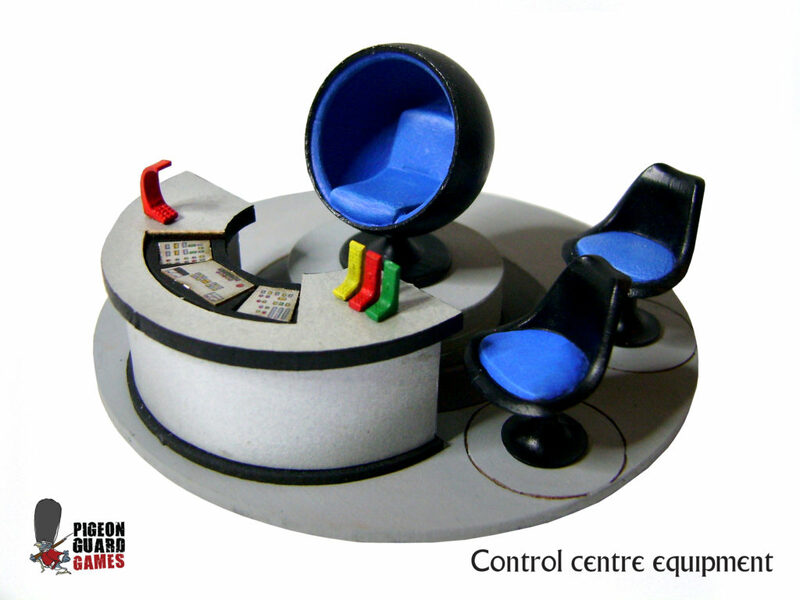 This mixed media kit will allow you to make an operations centre for your spy- fi layout. The console itself requires very little painting and has various printed sections including the control surfaces like switches, buttons and lights. The resin Globe chair can be positioned at various height levels using the plinths supplied, right up to maximum intimidation level! An mdf base and two resin Tulip chairs are also provided.